LOS ANGELES, CA - Yesterday, March 9, commemorated the unfortunate 19th anniversary of The Notorious B.I.G. 's still-unsolved murder. 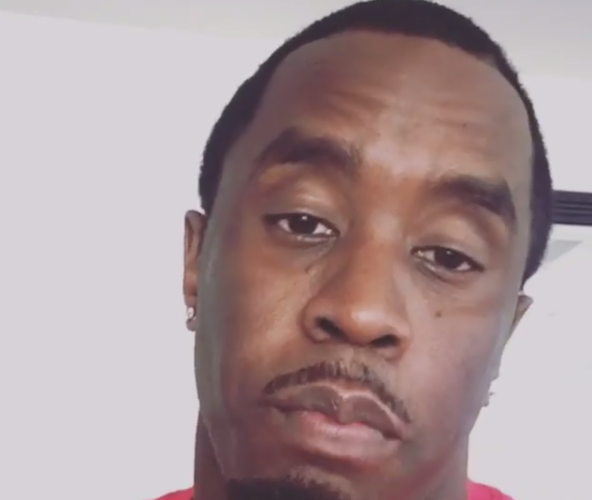 While tributes across the Hip Hop stratosphere were at an all-time high, his best friend Sean "Diddy/Puff Daddy" Combs took to his Instagram to share a few never-before-seen videos from his personal stash. "Never seen before #BIG footage!!! !," Diddy captioned on one clip while giving a linkback to the official B.I.G. clothing line, Invisible Bully. Another clip showcased the late rap great doing the voiceover work on the chorus of his iconic single, "Hypnotize," which was formally performed by Pamela Long of the ex-Bad Boy group, Total. Another visual featured B.I.G., who was renown for his charismatic attitude, clowning in the studio with a couple of friends. "I'm extra extra emotional this year!! !," Diddy admitted in another video. "You know that feeling when your on the verge of crying all day! WORDS CANT EXPLAIN!," followed by several hashtags, #"BIG #forever @invisiblebully_ #brooklyn #NYC WHATS GOOD?????" On the morning of March 9, 1997, Biggie (real name Christopher Wallace) was killed in a drive-by shooting as he left a Vibe magazine party in Los Angeles. His murder has remained unsolved, prompting many conspiracy theories and much speculation as to who was responsible. Most recently, retired LAPD detective Greg Kading claimed former Death Row CEO Suge Knight hired Bloods Bloods gang member Wardell "Poochie" Fouse to kill Wallace in retaliation for Tupac Shakur's death, who died in similar fashion in Las Vegas six months prior. Diddy has gone to keep the Bad Boy empire strong and now focuses on celebrating his late friend's life opposed to mourning his death. Tomorrow (March 11), he will be curating a special tribute/interview with DJ Khaled on the Snapchat legend's Beats 1 radio show on Apple Music. Watch the unreleased clips and more, Diddy shared with the world over the past 24 hours.